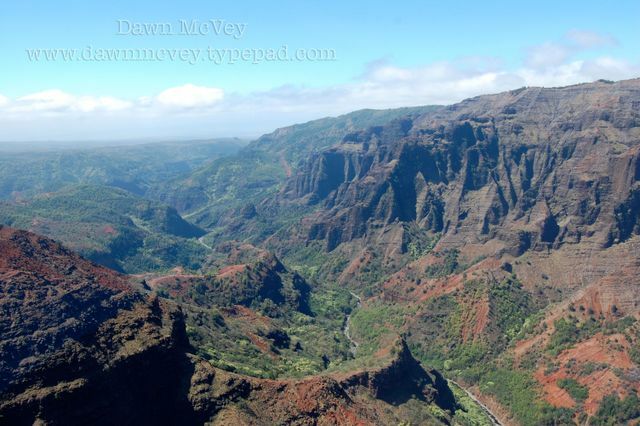 This is Waimea Canyon from our helicopter, on Kauai. HUUUUGE. Also known as the Grand Canyon of Hawaii.